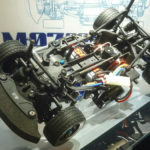 M – 07 CONCEPT chassis kit High performance new design M chassis pursuing light traveling performance unique to front wheel drive and also pursuing maintenance. Adopt upper and lower split monocoque frames to ensure high rigidity. Replacement of the differential gear reduces disassembly around the foot as much as possible, accessible from the bottom. The circumference is independent of the double wishbone equipped with CVA damper. It is a special item which made long arm and linkage, and it is also characterized by a wide setting width. 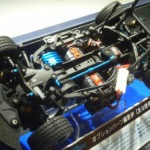 ● Electric RC car series No. 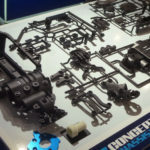 647 1/10 RC M – 07 CONCEPT CHASSIS KIT (58647) ★ Drive system is full bearing specification Oil-filled type gear differential, universal shaft, high torque servo saver etc. are standard equipment. 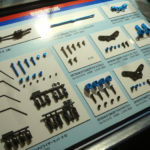 ★ 225 mm, 239 mm, two types of wheel base can be selected. 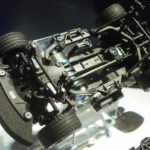 * Body, motor, tire, RC mechanism, battery etc. are not included in the kit.